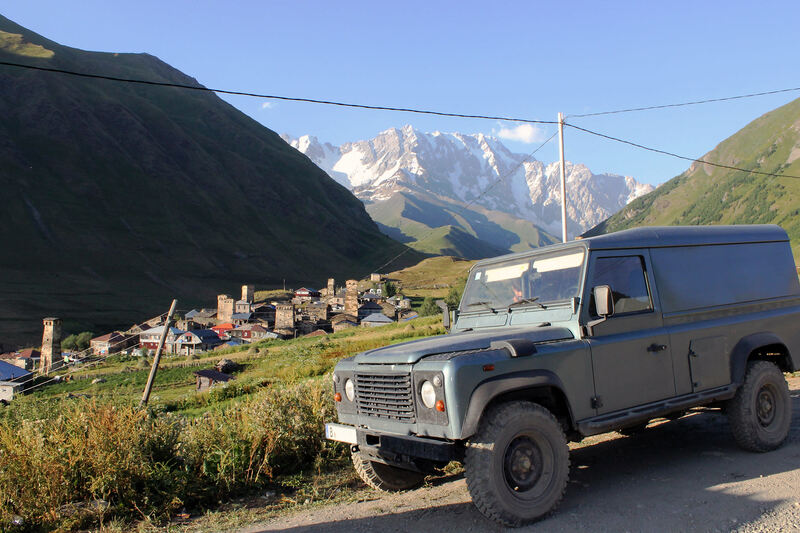 On this page, I’d like to tell you about our truck called Wildebeest (short: Gnu) who has accompanied us on our trip to Georgia. 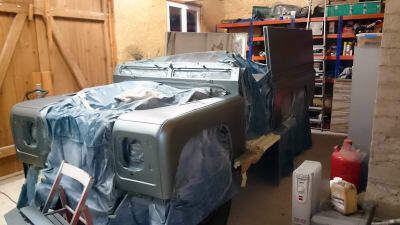 I think that a Defender is a great choice for an adventure vehicle – the cargo area is long enough to sleep in (about 2m) and you still have lots of storage space under the bed. Gnu was originally built to military specifications which means that he came with side lockers. This is quite handy as you can store everything in there that you do not want inside your car – such as additional fuel, firewood or even your trash. And of course, there is the thing that you can go pretty much anywhere with this car which did prove valuable many times when we wanted to find a lonely place to park for the night. However, you should not expect the comforts of a modern vehicle – the ride is bumpy when the road gets worse and the seating position, whilst providing a good view of your surroundings, is less than optimal. Yet it appears that the Defender is always a favourite with the male crowd no matter where you go. We received many a comment and several purchase offers. 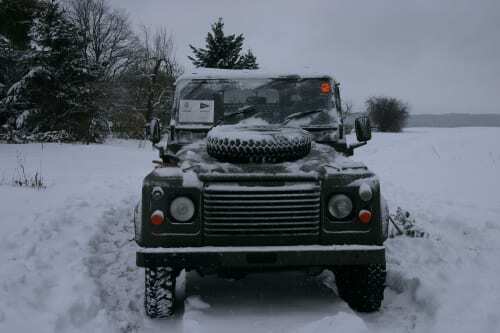 When I bought this Land Rover TUM FFR (truck utility medium; fitted for radio) from the Royal Air Force it was probably among the more sorry ones out of the 100+ that they sold. Yes, you could, in fact, put your foot through the floor and there were other holes in places where they do not belong. Sure enough, it was the right car for me – nothing much you could do to make it worse :). I decided to rebuild it on my own during the weekends which, all in all, took about 3 years. No doubt this was a wonderful learning experience though. 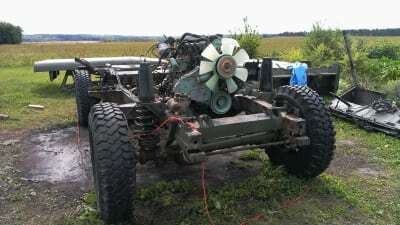 Probably the biggest set back was having to swap the engine for a newer one – which I also had to rebuild as the replacement 300TDI I got was quite worn. As far as special equipment goes there is nothing much that has been done to it. 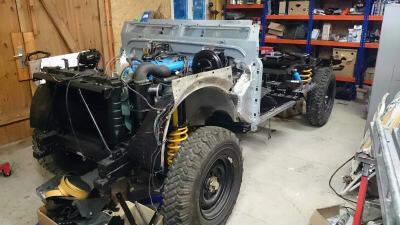 There is an aluminium steering guard and some rock sliders on the side and a spare wheel carrier on the rear. For the inside we left it pretty basic as well – we put some wood planking across the wheel arches and used that as a platform for the bed. Beneath that we could fit several banana boxes which we used to organize our stuff. We did put some wood on the inside to make it look a little better but that was it.